I am trying to recall if I have watched anything on the OWN Network since it launched. I think I watched about 5 minutes of Rosie's talk show before I got bored and annoyed. I may have watched a couple of minutes of a home show or something…but that's it. I guess I am not the only one. It is being reported that the OWN network has lost upwards of $330 million and things are not looking up. 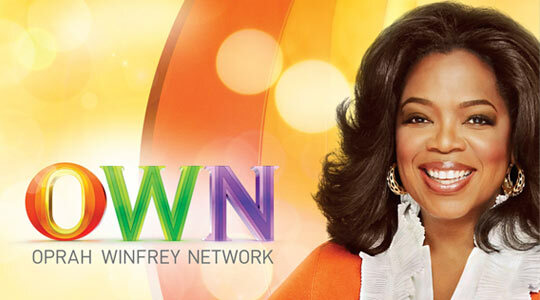 The only shows that are really pulling an audience are the ones Oprah is on. Finally marry Stedman and televise the event. Make sure it is a bigger to-do than the Royal Wedding and Kim Kardashian's combined. It's gotta be huge…and to make sure that people don't start bad mouthing her extravagance, have some African orphans sing at the ceremony and some sort of 'green initiative' wedding favours. Bring back "Oprah's Big Give" but make it more blood thirsty than the first round with more twists and turns. At the end have a boxer come out and punch the winner in the box and say "This is what happens when you are selfless and do things for other people…a punch in the box." Make a show with the "Sweet 16" generation. Drop them in the middle of a third world country and make them work, cry and reevaluate their outrageous view on life. It would be entertaining…and if you got the right people there could be some sort of redemption on their souls…maybe. Or you could just execute them at the end if they were still bratty. Some sort of show that is a must see for stay-at-home moms…something about babies? I will leave this up to the experts to fine something within that knish. If it is presented to me and I hate it you are probably on the right track. Only program this show to air during the day during the week and never on holidays. Ope, I wish you well in your attempt to dig your network out of the ground. God speed. Hahaha great tips. Very funny. I'd love to see the Oprah Big Give Away one.